The agreement between the university and the federal Department of Education brings an end to a 14-year investigation. The Texas Tech University Health Sciences Center, which houses the university’s medical school, has signed a resolution agreement with the U.S. Education Department, pledging to cease using race as a factor in the admission process. 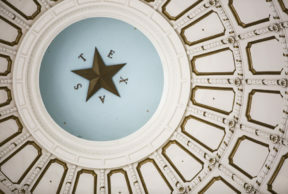 “The Texas Tech medical school is agreeing to come into compliance with the Department of Education’s view of anti-discrimination law,” says Michelle Hackman, who covers national education policy for the Wall Street Journal, which first reported the agreement. Part of the reason the investigation took 14 years is that investigators waited for the case that came to be known as Fisher v. University of Texas to be resolved. The ruling in Fisher requires that universities using race as a factor in their admissions process should be doing “regular checks” – which universities have generally interpreted to be annual checks – that race is a factor that is helpful for achieving diversity on campus. Another way of viewing it is that universities should check regularly that they are not using “race-neutral” factors like income and language capacity. The Education Department ruled that Texas Tech was not verifying that the way it uses race in the admissions process is actually helping to achieve diversity in the school, thus requiring the university to cease using race immediately.